Grüzi wohl! Greetings from Napf. 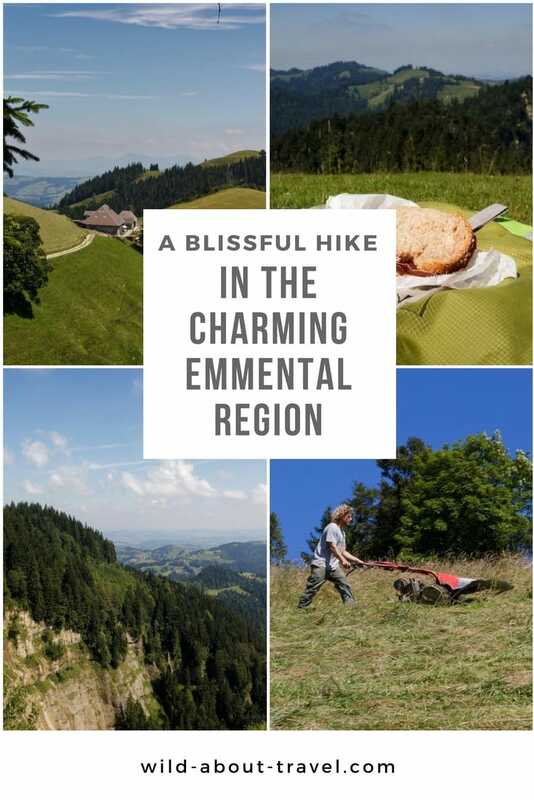 Today I’m hiking in the Emmental region. Yes, the area where they produce the famous Swiss cheese with the big holes. 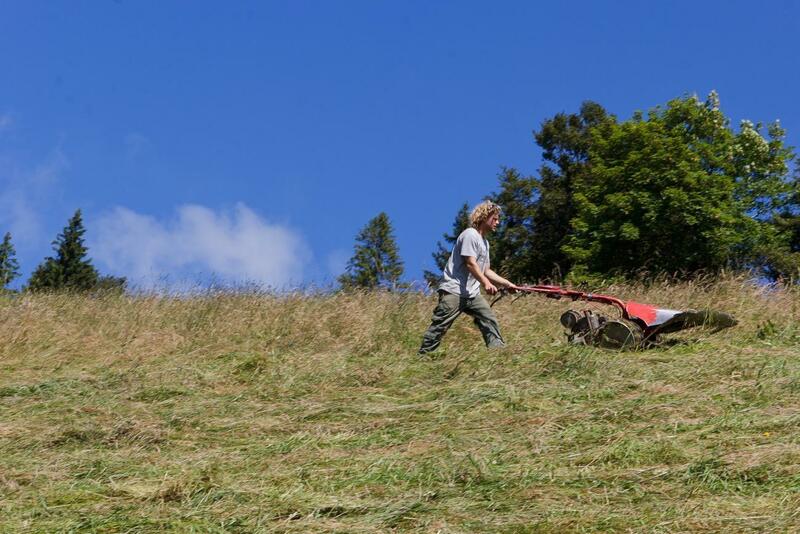 And I’m writing in real time, sitting on the grass, surrounded by a stunning scenery: smooth hills, where the light green of the meadows blends with the darker shades of the forest, and farther away I can spot the snow-capped mountains. I think I can recognize the Jungfrau, Eiger, and Mönch, although I’m not completely sure because of the haze and a few clouds near the peaks. 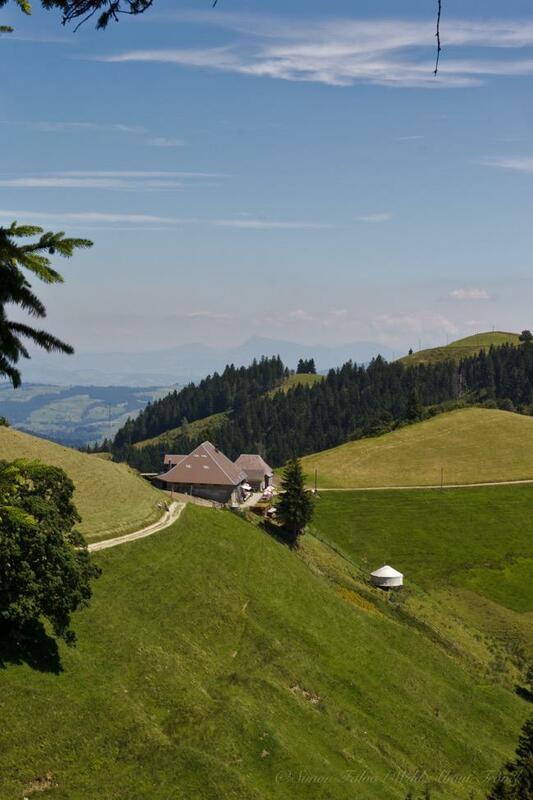 The Emmental is definitely not a cheese I crave for, but the region is idyllic. 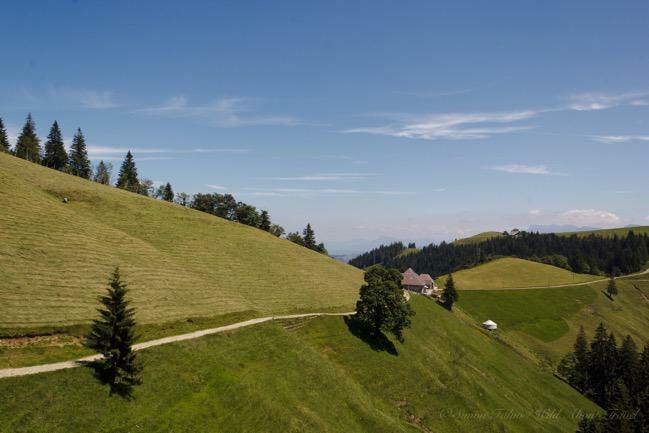 In between Bern and Lucerne, the Emmental (which means the valley of the river Emme) makes an easy one-day excursion in an area of Switzerland which is often overlooked. 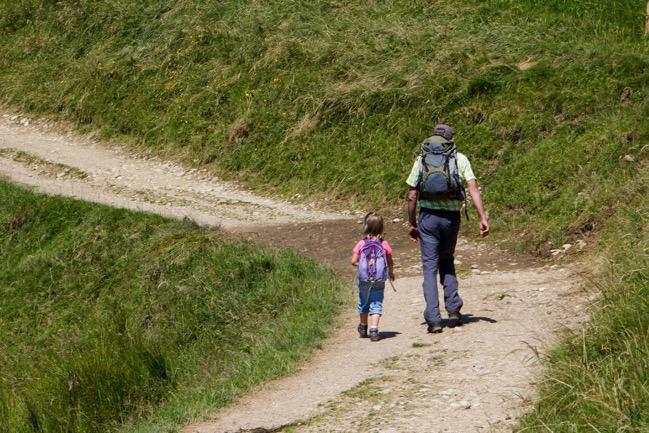 There are so many hiking trails to choose from that it took me some time to pick up one. 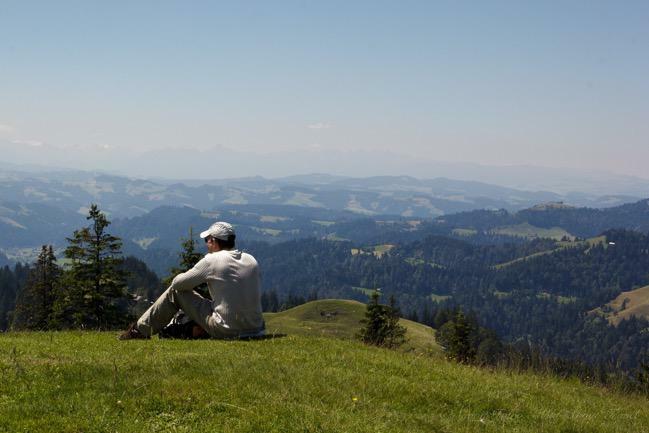 I ended up deciding to hike up to Napf from Mettlenalp, where the bus rides only on Saturdays and Sundays. 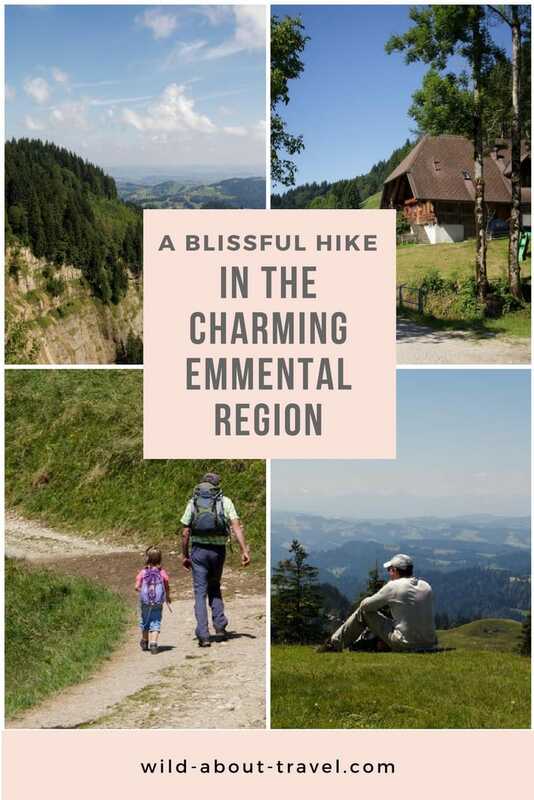 Also, it was described as one of the most scenic trails in the region and since the weather forecast was good, I prepared my backpack, wore my hiking boots, grabbed the hiking poles and headed to the Emmental. From Mettlenalp it takes about 1 1/2 hour to reach Napf (I’m quite slow, so it took me a little longer), along an easy trail gently going up and becoming steeper only during the last 10 minutes. 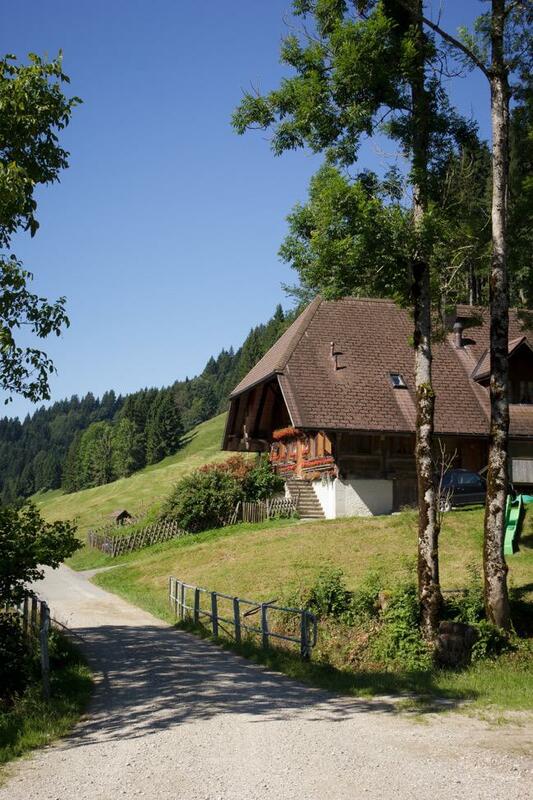 On the way, hikers greet each other with the traditional Grüzi, and hearing Swiss German is a good sign. This is a place for locals, and I’m very happy. It’s a beautiful day, with the perfect temperature. 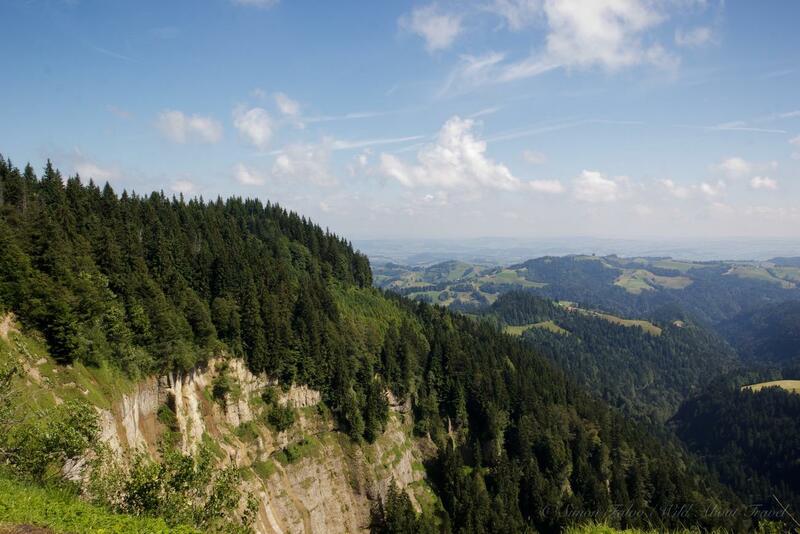 As I hike up, the view opens on a charming scenery. The colors are bright, and I suspect this is due to the recent rain. 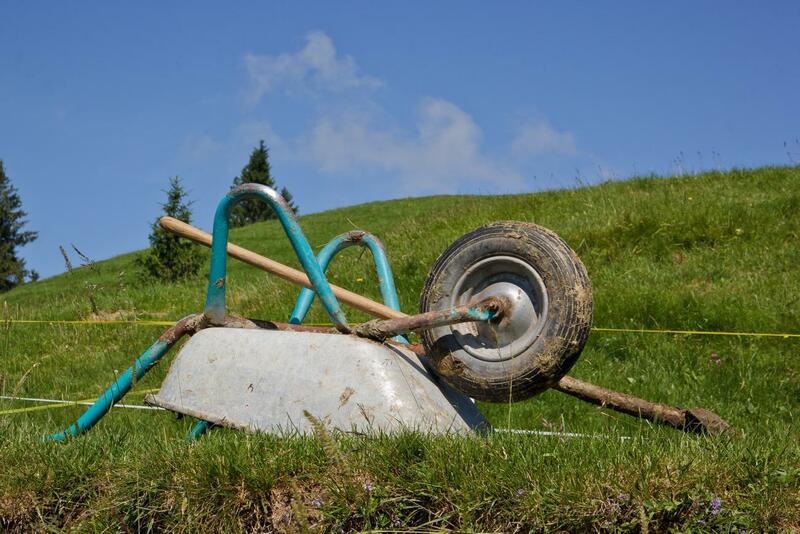 It’s that time of Summer when farmers cut the grass and let it dry under the sun. The smell of the hay is intoxicating and I wish I could take it with me back in the city. That’s why I love nature: it never ceases to surprise me with its smells, sounds, shapes. Still, something puzzles me. Wait a minute. Since I left the valley, I haven’t seen one single cow. 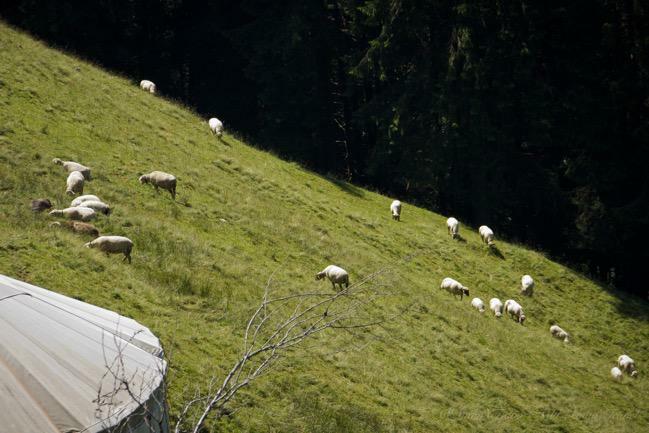 Now, being in the Emmental region that’s rather weird. Where do they hide? Are they not grazing in the meadows? 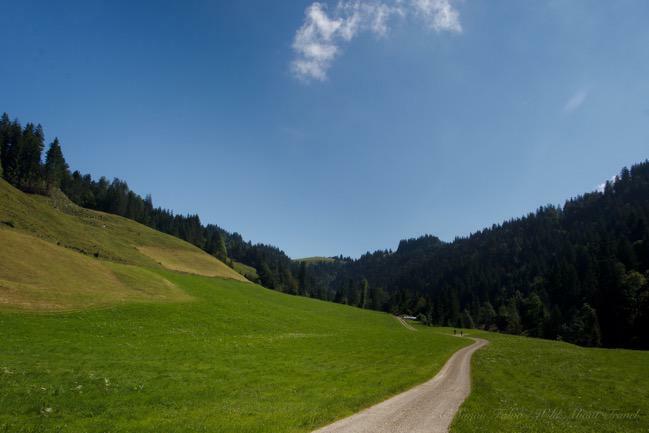 Napf is indeed a beautiful spot, and the green meadows are perfect to rest in the grass and have a picnic (also a good way to stay on the cheap in super expensive Switzerland) while taking in the stunning scenery. Perhaps it’s the gentle sound of the wind, or the feeling of peace surrounding me. I feel it’s time to write, time to share a moment of pure bliss. How to get to Napf: unless you have a car, you can reach the area by train and bus. 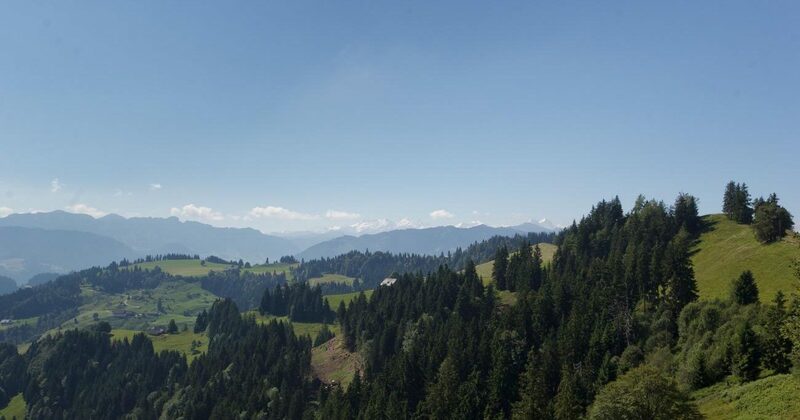 From Bern or Lucerne, take the regional train to Trubschachen (40 min from Bern, 50 minutes from Lucerne). A bus connects Trubschachen to Mettlenalp (near 30 min), from where the hike to Napf starts. Beware that the bus only rides on Saturdays and Sundays, from May 1st to October 30th. Furthermore, there are only 2 bus rides per day. 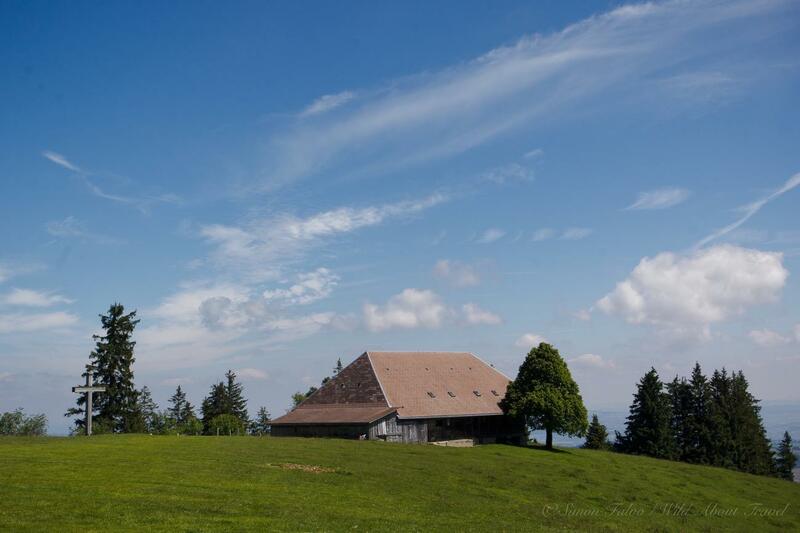 Where to eat: Restaurant Mettlenalp, Restaurant Napf. Along the path, there’s also a farmhouse where you can stop for a drink or a bite with some local products. 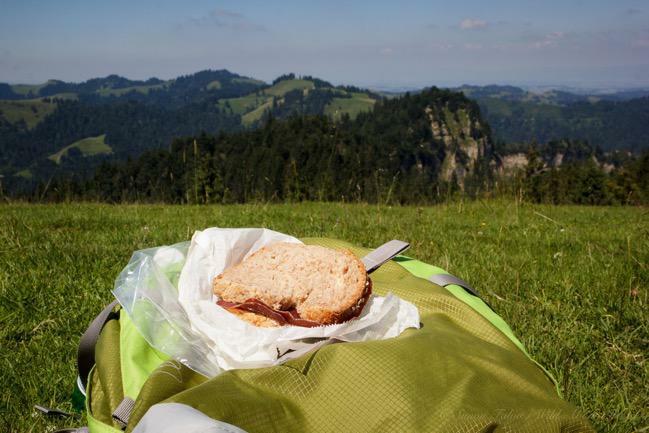 Tip: bring a lot of water with you and refill your bottle whenever possible. The price of water at the restaurant is just outrageous.